The area now occupied by the Village of Hortonville was once home to the Sac, Fox and Ho-Chunk peoples. European control of the area was first documented as part of the Northwest Territory in 1789 which was succeeded by the Wisconsin Territory in 1836. The Village was founded in 1848 and named after its first settler, Alonzo E. Horton (1813-1909), who later was one of the founders and developers of San Diego, CA. In 1873, Hortonville was serviced by its first railroad and was also the site of one of the first match light factories in the world. On August 11, 1894, Hortonville was incorporated as a village. 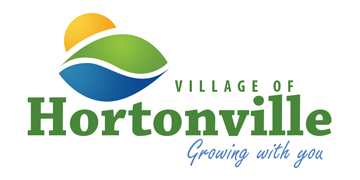 The Village of Hortonville is a growing place of friendly people with a strong work ethic, a place of safe neighborhoods and affordable housing, a place in close proximity to excellent learning and medical facilities, a place near bountiful shopping opportunities and unlimited recreational and sightseeing opportunities. Your future is here.